By registering you agree to receive details regarding your account by email, as well as email notifications for any inventory/price updates you request by saving a yacht or a search on the site. You may optionally opt in to marketing communications below. BUILDERS REMARKS:The Leopard 51 Powercat brings with it a multitude of exciting features, including a sleek design, a large forward cockpit, additional lounging areas, an expansive flybridge and a completely redesigned interior upgraded with modern appliances. Drawing upon the success of previous Leopard powercats, this economically efficient catamaran uses less fuel than other power models. She also incorporates a brilliant ergonomic layout that makes maneuvering around your yacht comfortable and easy. This yacht also boasts a large and open saloon, a galley with the latest appliances, 4 cabin layout with en-suite heads. The Leopard 51 Powercat combines the best from our sailing fleet with the luxury and ease of a power yacht. 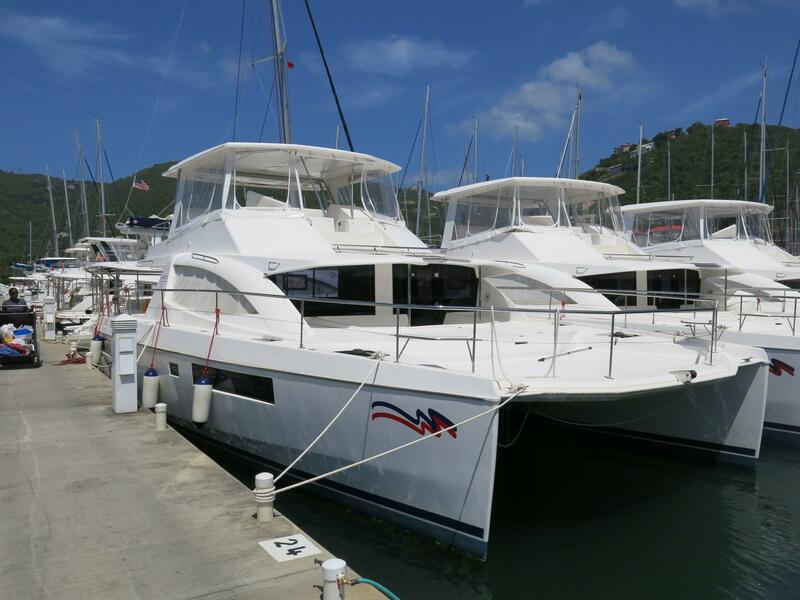 BROKERS REMARKS: PURAVIDA is a fantastic powercat, and the newest one available. There is a reason that boat lovers have been flocking to the Moorings to see this model. The flybridge is worthy of a mega-yacht and makes this yacht feel more like a 100ft cruiser. It goes without saying that all the mod-cons are here, such as Generator, Air Conditioning, and even has swim platform that lifts your dinghy out of the water hydraulically. The comfortable flybridge has extensive seating, with tables, BBQ, fridge and mini-bar area. All in all, the perfect yacht for entertaining and relaxing, with a vantage point second to none. There are many more pictures to come, and we expect this yacht to sell quickly. Please note that some of these are sister-ship photos while we wait more photos from the base. AVAILABILITY: Leaves Bahamas Moorings fleet June 2019. These are pictures of a sister ship. Actual photos of this vessel will be coming soon. Separate multiple addresses with a comma. Check out this boat I found on mooringsbrokerage.com. Thank you for your offer. This online offer is subject to a signed Purchase Agreement and deposit received by the brokerage. I'm interested in this boat - please send me some more information.